In this scene Cracker and Rick go on a special forces mission to save prisoners. When they get there Cracker sniffs out trap after trap. Then they have to hide behind a bush and be perfectly still so the enemies don't see them. Then they get seen and they radio in the helicopters to be waiting for them. 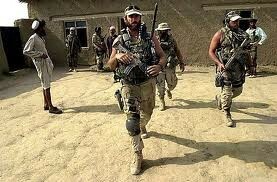 After they save the prisoners they run all the way back to the helicopters and they fly back to camp. 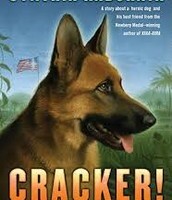 In the book Cracker there is a dog who has a normal life with her owner Willie. Then Willies Landlord says they cant have a dog. So Cracker gets sent to Vietnam where she will be trained to sniff out traps. Rick picks her to be his dog and at first they don't get along but Cracker learns that Rick is a friend. After they go through training Rick goes on a mission with Cracker and she sniffs out a sniper. Then Ricks captain recommends him to go on a special forces mission. After the special forces mission he goes on another mission. 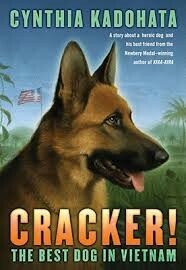 To find out what happens next read Cracker by Cynthia Kadohata.